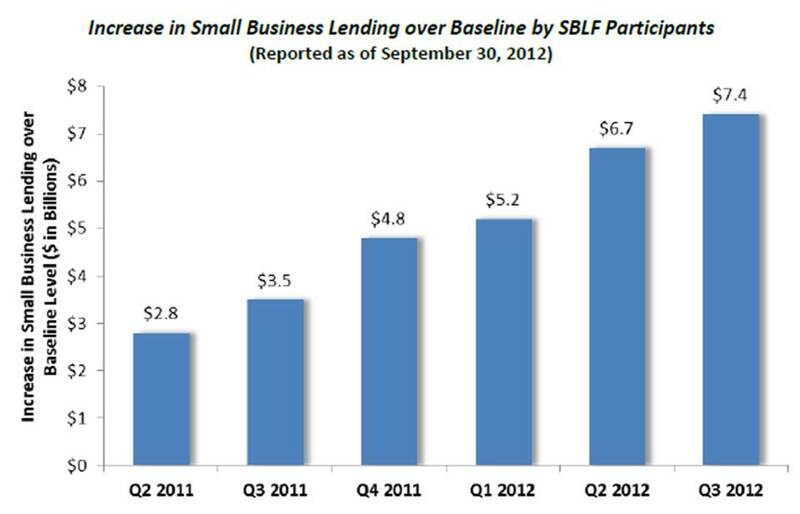 SCORE’s blog post concludes that small businesses should not give up on the idea of getting a bank loan. The post points out that a bank loan “may not be for every entrepreneur,” which is actually a very important point to make. While it is encouraging to see data showing that capital may not be as restricted as we think it is, it’s still important to question who might be getting these loans, and who might still be left out. The ratio of outside debt to total capital was 13% lower for black-owned businesses than for comparable white-owned businesses. Our own study of small business lending in North Carolina found that while the large banks hold a majority of lending resources, there are disparities in where those resources are deployed. Small business lending by the larger banks is more concentrated in upper- and middle-income areas, compared to lending by community development financial institutions (CDFIs), which is concentrated in low-income areas. Banks’ investment in upper-income census tracts is 250 times higher than it is in lower-income tracts. In the end, a working flow of capital is necessary for businesses of all types and sizes to start up and continue to grow. Banks play a big role in providing capital, but they do not reach everyone. The NBER findings are encouraging, but there are still many who are not served by the mainstream financial sector. Other factors, such as gender, race, and income also come into play and impact whether or not entrepreneurs can access affordable capital. Wells Fargo and Gallup have released their Small Business Index, which is a survey of small business owners on their current financial situation and their views on what the next 12 months have in store. The survey includes 601 small business owners, and was conducted during the first two weeks of this month. On the down side, it does not appear that hiring will increase significantly. Seventy-one percent reported that there will likely be no change in the number of jobs at their businesses, while the number of businesses that will add jobs did not increase from the last quarter. Even those who say they will hire are expecting to hire fewer jobs than they ideally would need. The primary reasons for this include that they don’t need any more workers, they are concerned about having enough consumer demand to support new jobs, the state of the economy, and potential costs of health care. Coincidentally, those businesses that are expecting to hire say they will do so because of increased demand. These findings corroborate previous small business surveys that we have reported on. Although there are a variety of issues that affect business owners, consumer demand and economic stability rank as the top factors. In order for these businesses to be successful, they need people to purchase the goods and services they offer. As the economy overall improves– and as individuals and families regain financial stability– the prospects for small businesses will also improve. In related small business news, it appears that banks are also taking stock of their prospects when it comes to small business lending. Business News Daily reports that Bank of America, in response to its perception of small business lending as a growing opportunity will be stepping up its efforts in this area, as it has recently hired more than 1,000 small business lending bankers. On the other hand, Bloomberg reports that Citigroup will be letting go of small business bankers, as a “realignment” within the company. The economic recession and its ongoing impacts have changed the landscape for small businesses dramatically. From consumer demand to accessing capital, small businesses have faced a great deal of uncertainty in recent years. The various surveys of small businesses and the shifting roles of both big and small lenders all show that businesses and lenders alike are still trying to figure out and adjust to these changing conditions. But until the underlying challenges are addressed, the uncertainty will persist. Many of the challenges faced by both businesses and lenders will be alleviated when economic recovery really reaches all communities– particularly those areas where small businesses are the main generators of economic activity.